I am writing this from the airplane where Pete, myself and the girls are headed down to LA for a much needed little break and to do some really fun stuff for Coco (that may or may not include something fabulous called the “Rainbow Ball”!!!!) Check in on IG to see pictures this weekend- it is sure to be as cute as can be. This is supposed to be a bit of a celebration for all of her hard work over the last 6 months, and I am giving myself mom props for making it through too. However, my real break is next weekend when Pete and I are stealing away to Las Vegas with NO KIDS- more on that later. I am rather desperately hoping that we can steal some downtime by the pool and that maybe the sun will come peeking out of the clouds that are supposed to cover the sky. However, to be clear, I am not even feeling picky about that part. I will lie by the pool probably no matter what and feel grateful about it. And probably order a drink or three. 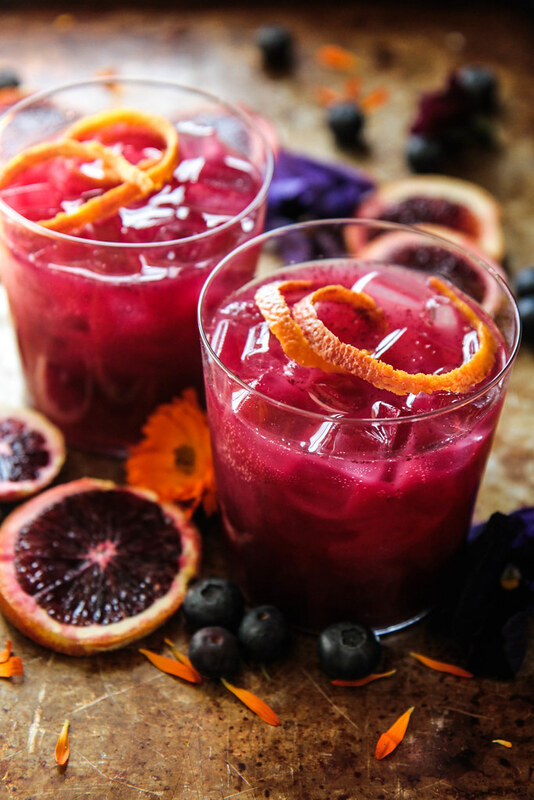 In the spirit of cocktailing, and in order to acknowledge that we are celebrating, I had to post a cocktail that I made and THOROUGHLY enjoyed recently- this Blood Orange Blueberry Whiskey Sour. I hope you guys have an awesome weekend- let me know what you are getting up to! In a small saucepan, combine the orange juice and blueberries and bring to a simmer for a few minutes until blueberries are soft. Remove them from the heat and place them in the jar of a blender and puree on high until completely smooth and a bright color. Let cool. Fill 4 cocktail glasses with ice cubes. In the jar of a cocktail shaker add ½ cup orange-blueberry mixture and the 4 ounces of whiskey with ice cubes and shake well. Pour over glasses filled with ice cubes and garnish with fresh blood orange. Repeat with the remaining juice and whiskey. 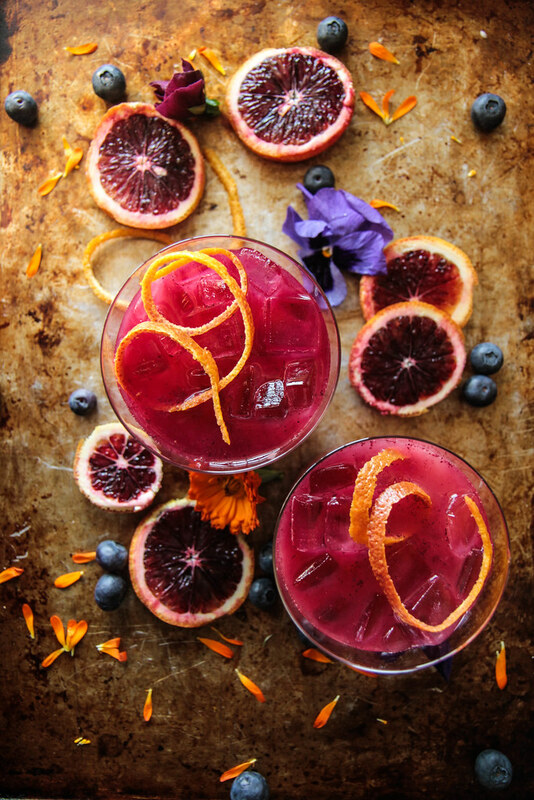 blood oranges, great pairing with blueberries especially with a lot of anti-oxidant punch to feel that much better about have one or even a few servings of this cocktail, thank you!